Frangipane in the simplest form is a filling prepared with almonds most often used in tarts. 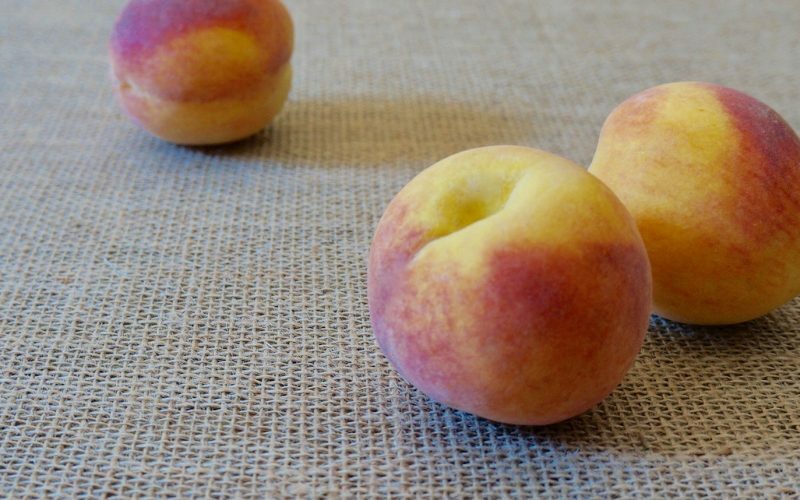 It’s quick to make & highlights seasonal fruit beautifully truly allowing it to shine. 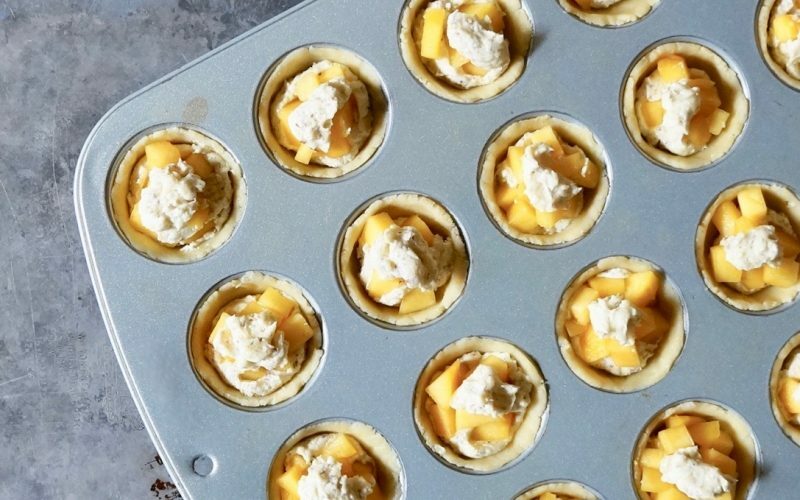 Once portioned into a homemade pastry crust, sliced or diced apricots, nectarines, peaches or pears may be placed over the top in a decorative pattern. As the tart bakes, the filling puffs around & sometimes over them to suspend the fruit within. A simple dusting of confectioners sugar is all that is needed to dress this lovely dessert for most any occasion from bridal showers & teas to outdoor barbecue & grilling gatherings. 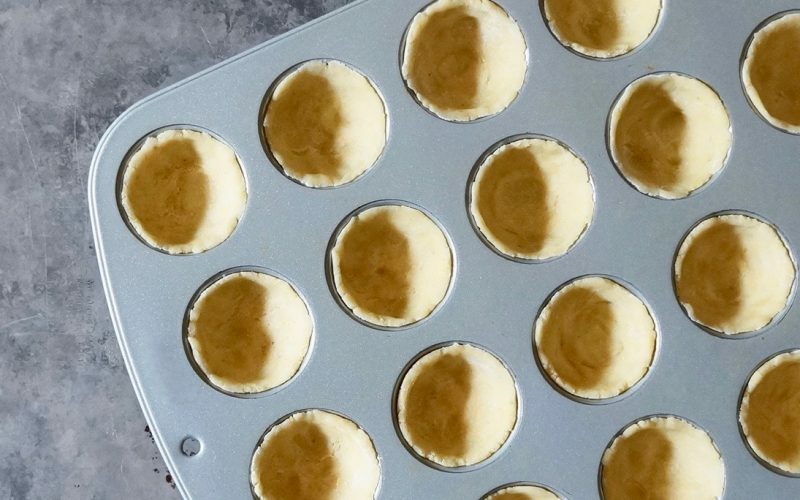 Learn how to make a miniature version of a classic in your own kitchen. Beat the cream cheese & 1/4 cup butter with a stand mixer until smooth. Scrape down the bowl sides with a rubber spatula. Blend in the flour & the cornmeal on Low speed until a dough forms. Divide the mixture into 24 pieces & roll into balls. 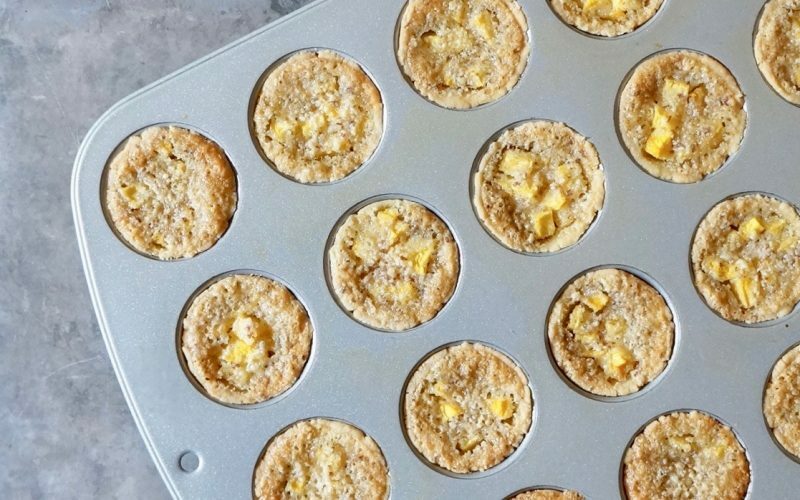 Press the dough balls into each space of a lightly greased 24-cup miniature muffin tin. Press the mixture evenly on the bottom & up the sides. Chill 30 minutes. Preheat the oven to 350 degrees. Beat the sugar & 1/3 cup butter with an electric hand mixer on Medium speed until light & fluffy. Scrape down the bowl sides using a rubber spatula. Blend in the egg & the almond extract on Low speed until fluffy & smooth. Add the almond meal & mix on Low speed just until combined. 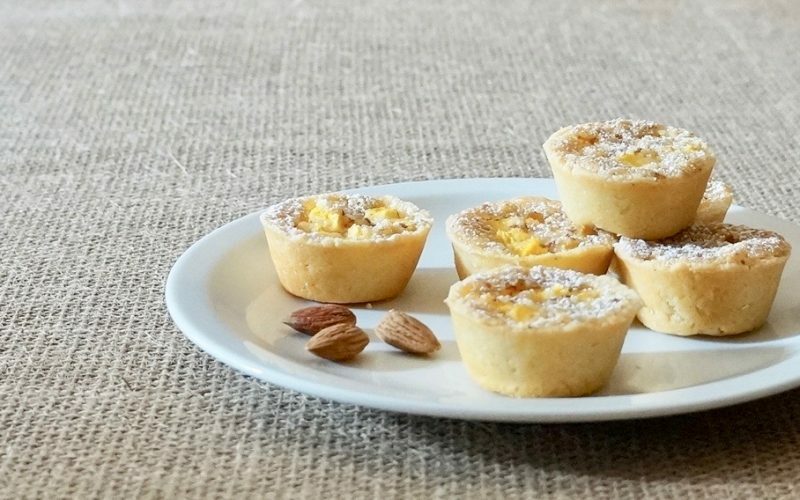 Portion about 1 teaspoon of the almond mixture in the bottom of each tartlet shell. Divide the peaches evenly over the tops, pressing lightly into the almond mixture. Dollop approximately 1/4 teaspoon of the remaining almond mixture over the peaches. Bake 28 to 33 minutes or until the crust & the tops are golden brown the filling is set. Let stand 5 minutes. Gently loosen the pies with a pairing knife. Cool completely in the pans. Lightly dust the tartlets with powdered sugar just before arranging on a platter & serving. 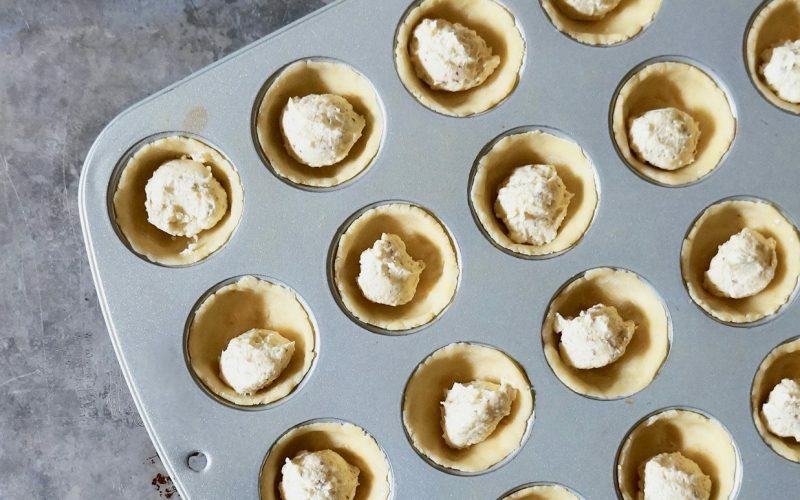 A cream cheese dough is a classic crust option for miniature pies. 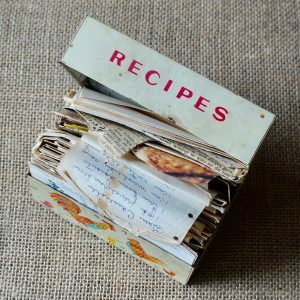 Just a few ingredients & the simple preparation make it a favorite recipe for Southern cooks to call on time & time again. 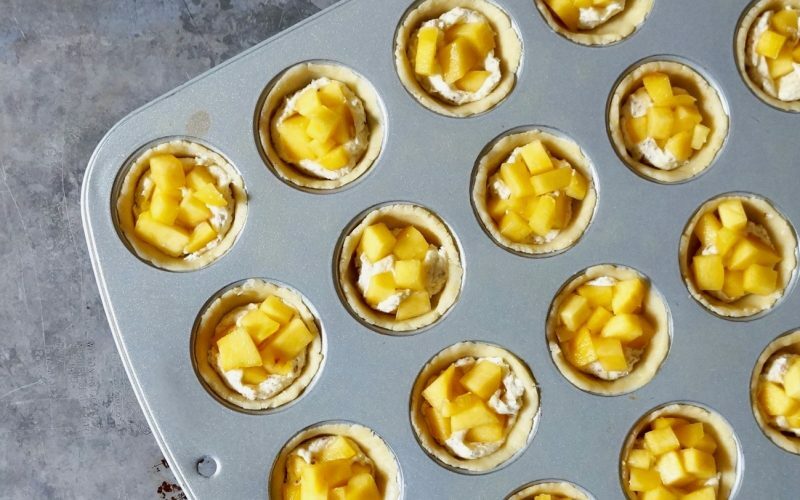 Follow my essential tips to make a homemade batch of Peach Frangipane Tartlets that are ideal for summer entertaining socials & beyond. Preheat the oven to 350 degrees. Beat the sugar & 1/3 cup butter with an electric hand mixer on Medium speed until light & fluffy. Scrape down the bowl sides using a rubber spatula. Blend in the egg & the almond extract on Low speed until fluffy & smooth. Add the almond meal & mix on Low speed just until combined. 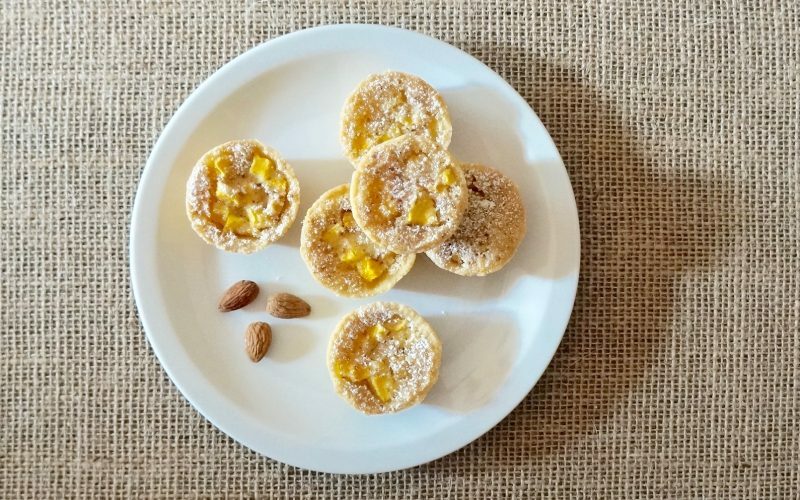 Portion about 1 teaspoon of the almond mixture in the bottom of each tartlet shell. Divide the peaches evenly over the tops, pressing lightly into the almond mixture. Dollop approximately 1/4 teaspoon of the remaining almond mixture over the peaches. Bake 28 to 33 minutes or until the crust & the tops are golden brown the filling is set. Let stand 5 minutes. Gently loosen the pies with a pairing knife. Cool completely in the pans. Lightly dust the tartlets with powdered sugar just before arranging on a platter & serving.